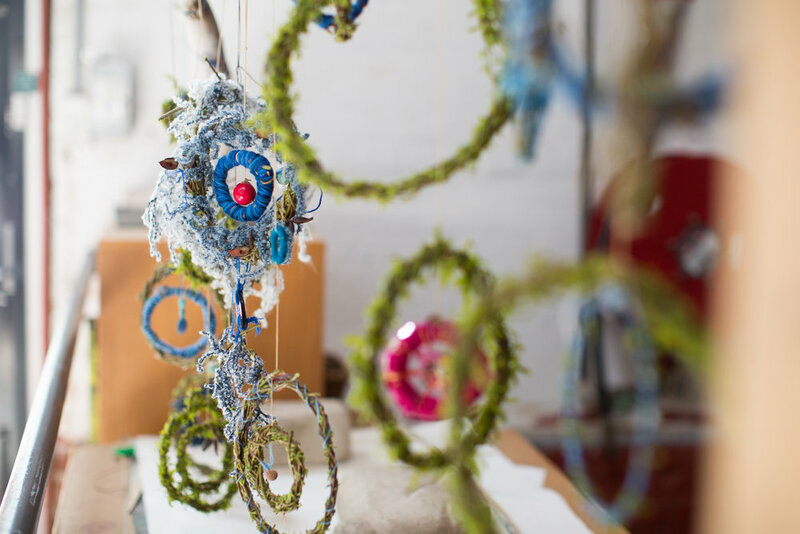 Colour image of multiple sized coloured circles or dream catchers made out of vine, different types of wool, string and beads. Close up colour image of multiple sized coloured circles or dream catchers made out of vine, different types of wool, string and beads. Coloured image of two hands working on a detailed dream catcher made out of vine and wool. Coloured image of two participants hands working together on a detailed dream catcher made out of vine and wool.